Imbibe is your ultimate guide to drinks. In every issue, you’ll find the best drink recipes, reviews, how-tos, destinations, entertaining tips, and in-depth coverage of everything from wine, spirits and beer to coffee and tea. Subscribe now and receive a FREE drinks download with your order. Imbibe is your ultimate guide to premium drinks. Already a print subscriber? Sign in to your account to add a digital subscription for only $1/issue. Giving a gift subscription? Click here instead. We will never share your email address or phone number. 1. How did you hear about Imbibe? 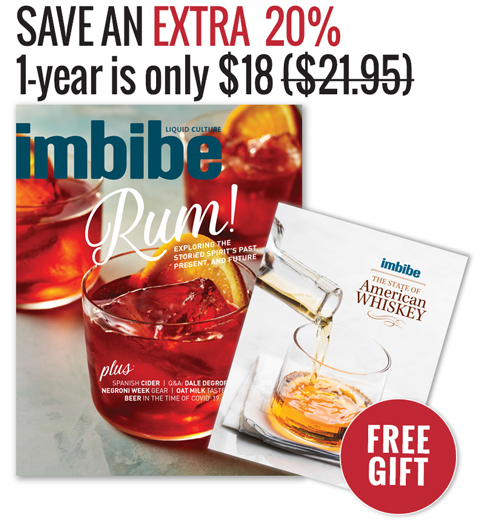 Your Imbibe subscription will continue uninterrupted unless you decide to cancel it. By clicking Submit, you authorize us to renew your subscription automatically at the expiration of each subscription term at the renewal rate in effect at the time of renewal. You will receive a clearly marked reminder approximately 30 days before your credit card is charged. You may cancel at any time by contacting customer service to receive a refund on undelivered issues. If your credit/debit card account cannot be charged, we will bill you directly instead. 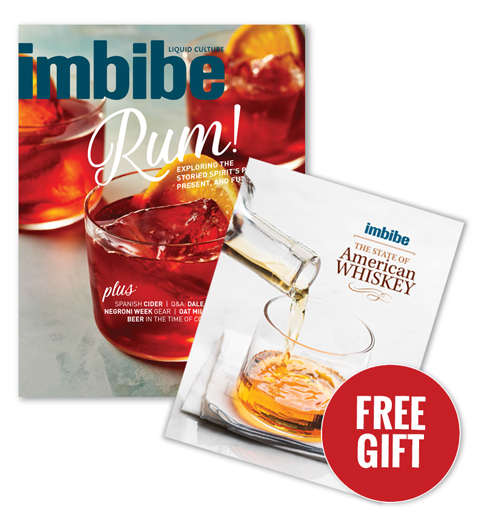 Imbibe Magazine is not available in the United Kingdom. Please contact us if you have any questions.